In a nutshell, this means only 1 percent of all Cal Grant funds, which total $1.4 billion, will be affected by the legislative package. 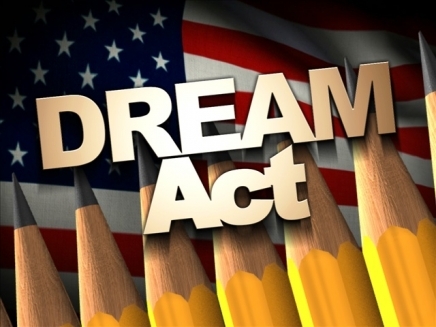 Though the bill is slightly different from the 2009 DREAM Act (Development, Relief and Education for Alien Minors), which attempts to grant full citizenship to U.S.-born alien students over a six-year period through college or by joining the military, many feel angered and betrayed. California Assemblyman Tim Donnelly said the bill’s passage was the biggest mistake the Democratic Party ever made. “The polling indicates that 80 to 90 percent of Californians are against this, and it crosses party lines,” Donnelly said. Donnelly said he hopes to get a ballot initiative started to overturn the law as soon as the bill is officially a state statute. Mark Krikorian, executive director of the Center for Immigrant Studies, a non-partisan Washington, D.C., research organization whose tagline is “Low-immigration, Pro-immigrant,” said the bill is only part of the problem. Ginny Rapini, coordinator for the NorCal Tea Party Patriots, said there should be consequences for illegal immigrants and giving them an education funded by California taxpayers isn’t fair to the legal residents who can’t afford to pay for their own tuition. To me, I can understand why so many people are upset about California providing federal aid to undocumented immigrants, especially when college tuition is rising and California’s public colleges and universities are struggling to survive the economic downturn. At the same time, there is the morality of the situation. Children of illegal immigrants are American citizens if born in the U.S. Also, by preventing them from getting an education, will California lose future skilled workers who can pay taxes and fill jobs left by baby boomers expected to retire in the coming years? Overall, I feel AB 131 is only a partial solution. Even though undocumented immigrants will be able to earn a degree, they will not have a right to work or obtain a driver’s license. Only Congress has the power to pass legislation providing a path to legalization and a green card. That being said, if education were free, politics weren’t a major factor, and if the government established more restrictive policies on immigration, we wouldn’t be having these problems. Then again, what are the chances of that happening, right?